In a week or two I’ll be bringing you an exciting DIY-related post, so to get the ball rolling I thought I’d share a couple of other DIY projects that we’ve done around our home. 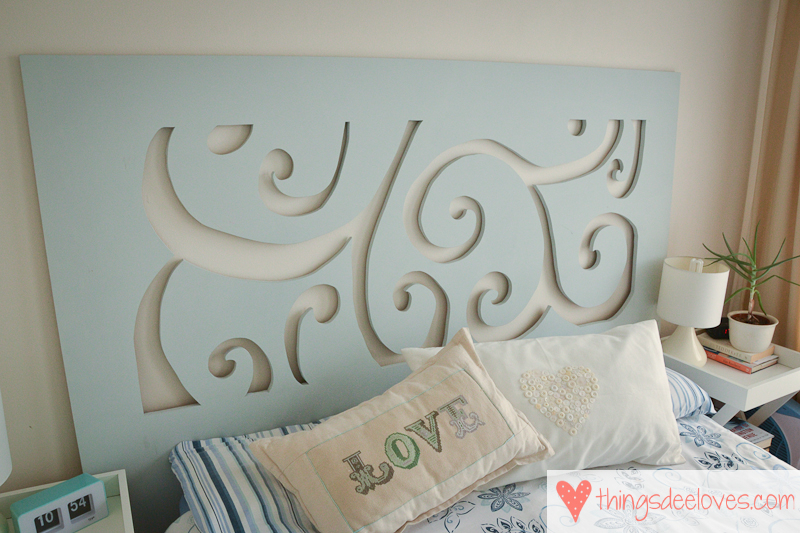 When we moved into our house as newlyweds, I really wanted a headboard for our room. Unfortunately headboards are often inexplicably expensive, so as part of my birthday present that year, G bought me a sheet of superwood and a voucher for the local hardware store. Not really your average birthday gift, but it turned into a fun DIY project that we could do together, and I love the final results. a sheet of superwood (also known as MDF, or medium-density fibreboard), cut to your required dimensions. Ours was cut 185cm x 130cm. I drew the design on the board free-hand, which can be a little daunting, but it gets easier the more you do, and you can always erase your mistakes. You can also measure out gridlines (as on the diagram) to help you along. If you want to be really fancy, you can set up the design on a projector and trace it onto your wood. Once the design is complete, you can get out the jigsaw! (or, as in my case, get the man in your life to get out the jigsaw). We were lucky enough to have a friend who was willing to lend us his, so ask around before buying one. 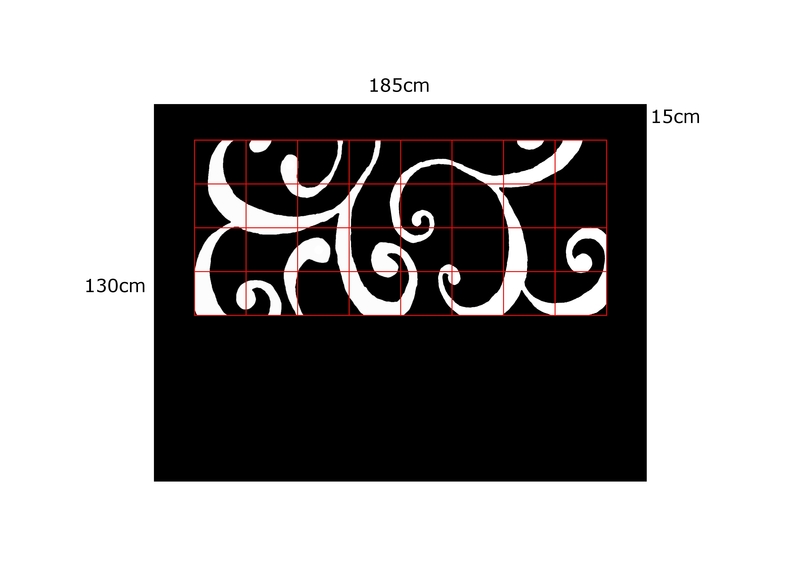 Use the jigsaw to cut out the design (just make sure that you cut out the right bits). I’d really recommend that you do this part outside, since it makes a lot of dust. Finally, sand down the rough edges, and get painting. We used a matte/satin finish acrylic, but you can use whatever takes your fancy. 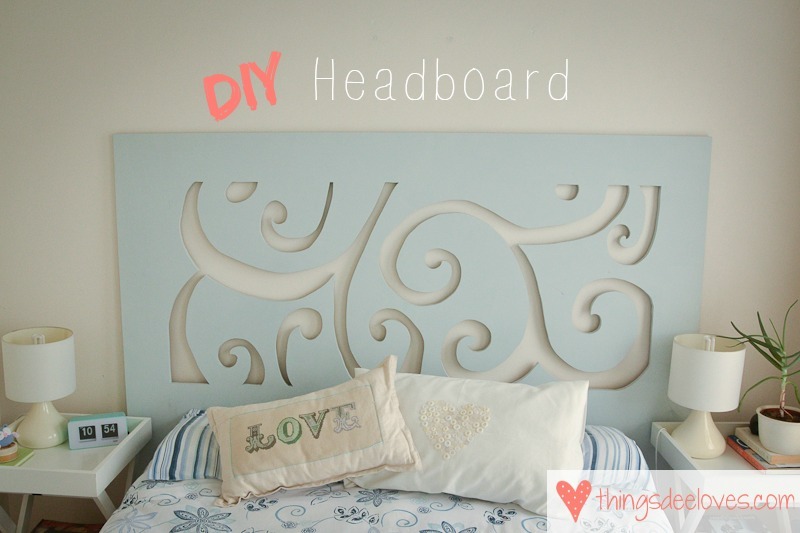 Good luck, I hope you enjoy making your own headboard! Also, if you fancy my LOVE & Heart cushions, you can find the patterns here & here. this is stunning 🙂 just wondering how you attached it your bed to make it stay in place?